AMERICA’S DRONE PROGRAM IS A TRAVESTY — AND A MYSTERY EVEN TO ITS EXECUTORS | "Global Possibilities"
The heart of drone war operations does indeed consist of a single pilot and a sensor (camera) operator, typically seated next to each other thousands of miles from the action at an Air Force base like Creech in Nevada or Cannonin New Mexico. 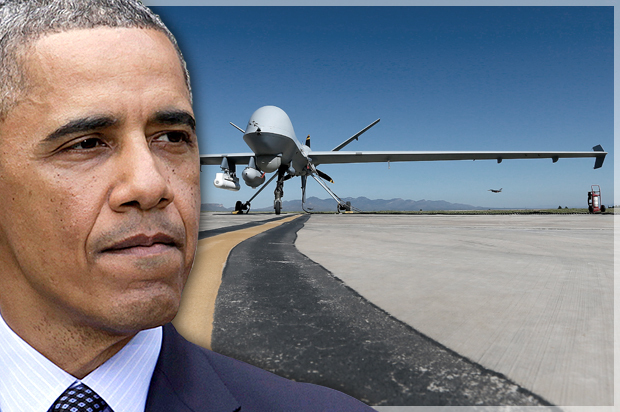 There, they operate Predator or Reaper drones over countries like Afghanistan, Iraq, Pakistan, Somalia, Syria, or Yemen. Either of them might have control over the onboard Hellfire missiles, but it would be wrong to assume that they are the modern day equivalent of the Lone Ranger and his sidekick, Tonto. In fact a typical “combat air patrol” may have as many as 186 individualsworking on it. To begin with, while the pilot and the sensor operator make up the central “mission-control element,” they need a “launch-and-recovery element” on the other side of the world to physically deploy the drones and bring them back to bases in Afghanistan, Saudi Arabia, and elsewhere. As with so much that the U.S. military now does, this work is contracted out to companies like Raytheon of Massachusetts. Each member of the flight crew has an Air Force designation that specifies his or her task. The pilots are known as 18Xs, the sensor operators are 1Us, and the imagery analysts are 1N1s. The launch and recovery personnel are often former drone pilots who have quit the Air Force because they can maketwice as much money working overseas for private contractors. In covering Washington’s drone wars, the media has tended to zero in on the top of the kill chain: President Obama, who every Tuesday reviews a “kill list” of individuals to be taken out by drone strikes; the CIA general counsel who has to sign off on each decision (John Rizzo did this, for example); andMichael D’Andrea, the CIA staffer who oversaw the list of those to be killed until he was replaced by Chris Wood last year. “Many of us are people who looked down one day to see our hands painted red,” they write in the organization’s mission statement. “To those [to] whom we direct our words, we are not your adversaries. We are only a mirror. Through our crimson hands we only seek to show you your reflection. We believe that truth deserves its own narrative. We hope that people like you will also stand up and join us in our efforts. We are also living proof that there is life after this, and if you trust us, we will show you a better world.”In bucking the military system and Washington’s cherished drone war program, perhaps Bryant and Westmoreland are themselves the ones who are taking on the classic Wild West roles of the Lone Ranger and Tonto. They have ridden into the badlands of the national security state to challenge the injustice of an outlaw system of killing that extends across significant parts of the planet. In the face of such an implacable program, one can only hope that they will find their silver bullets. Pratap Chatterjee is the author of “Halliburton’s Army: How A Well-Connected Texas Oil Company Revolutionized the Way America Makes War”. He is the managing editor of CorpWatch.